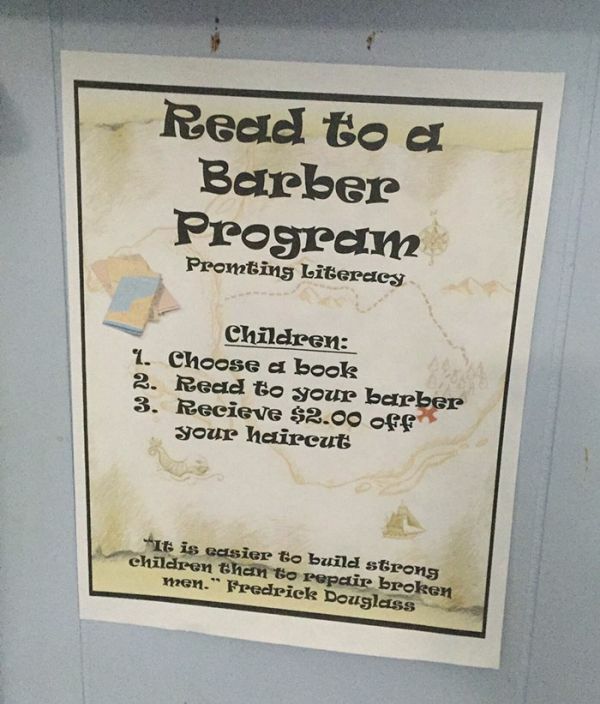 Reading is very important when it comes to a child's development, and this barbershop in Ypsilanti, Michigan encourages kids to pick up a book. 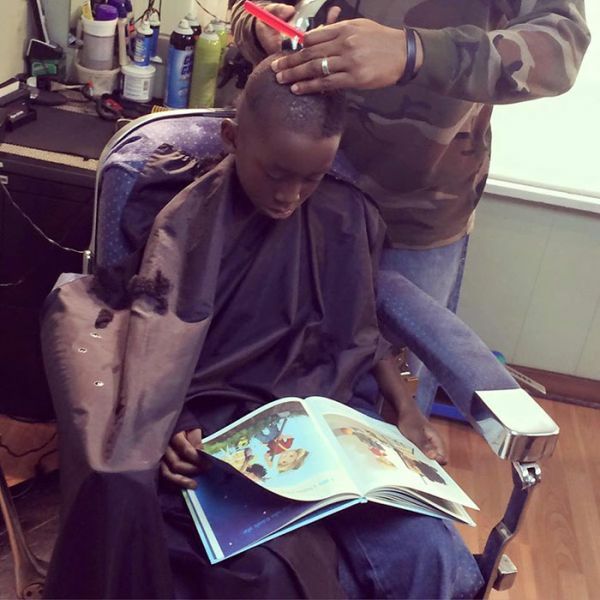 Every child who picks up a book and reads out loud will get $2 off their haircut. 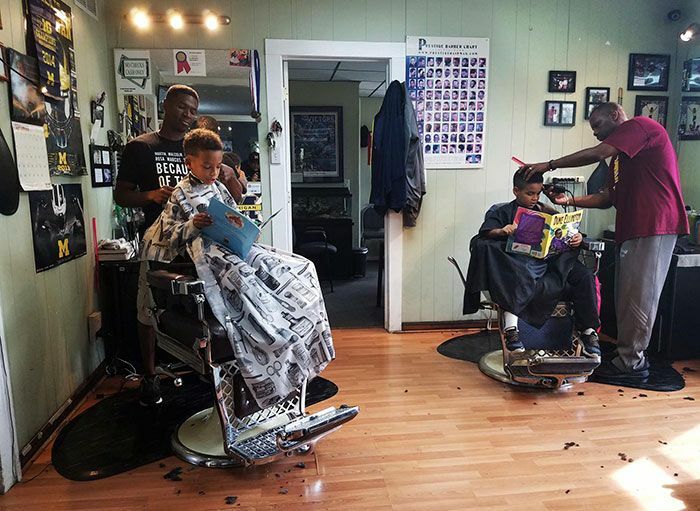 Barber Ryan Griffin says he was inspired when he discovered another barber shop in Harlem was doing something similar, and so far the idea is a big hit. 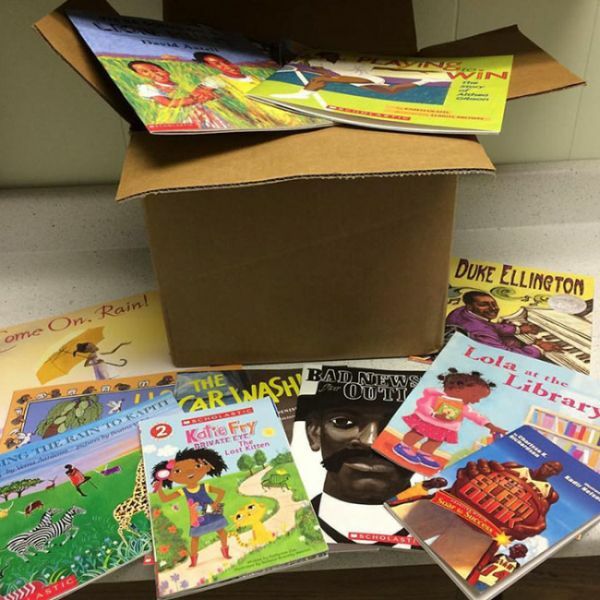 All the books are about black people. 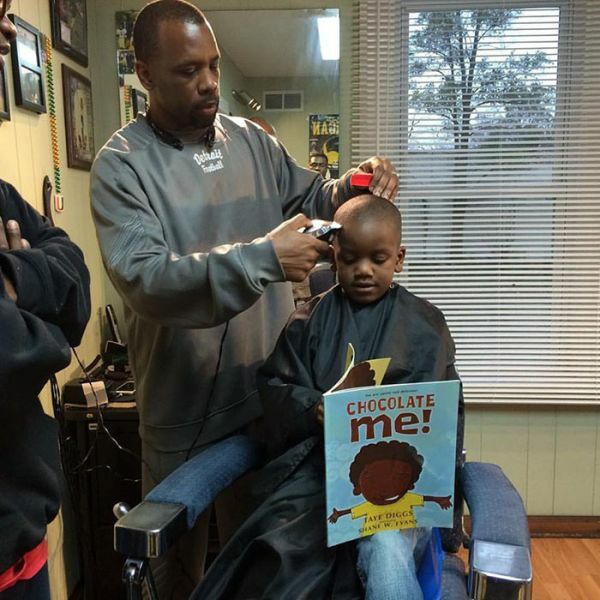 Does this not promote racism by painting the fact that we are different? 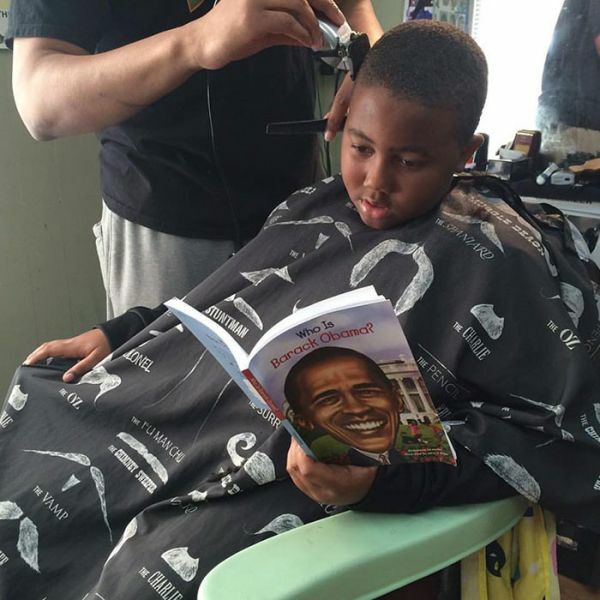 I thought that for a quick second but then I remembered, in school, we all read books mostly filled with non-black people. 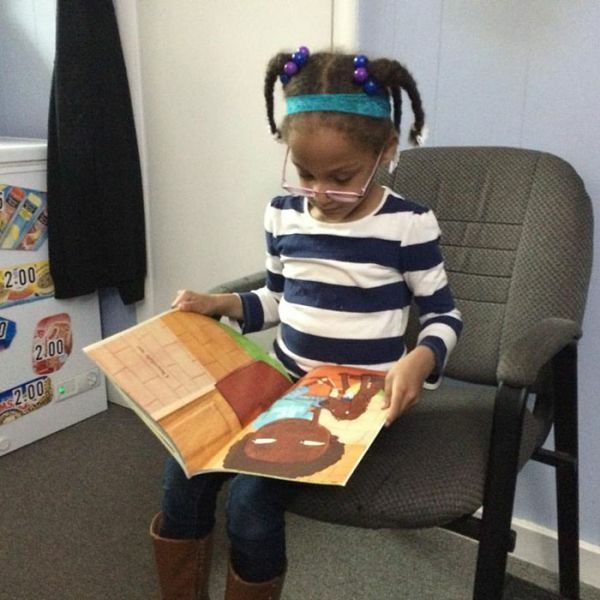 How much are the children being harmed reading black centric books for a few minutes a month? I surmise not much.